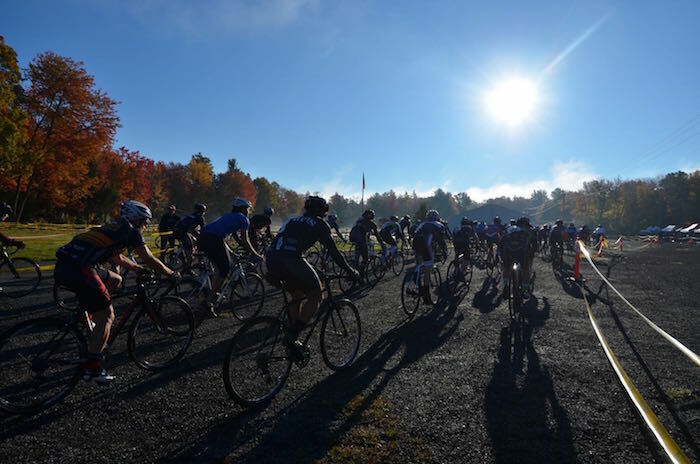 It’s true CX weather now and the Minuteman Road Club’s annual cyclocross race, now in it’s sixth year at the Bolton Fair in Lancaster, coming up on Sunday October 11th! Your legs are fully rested from Holy Week and returning to the sanity of a grassroots race with smaller fields is just the ticket. Winners of the men’s and women’s 1/2/3 race gets $300! 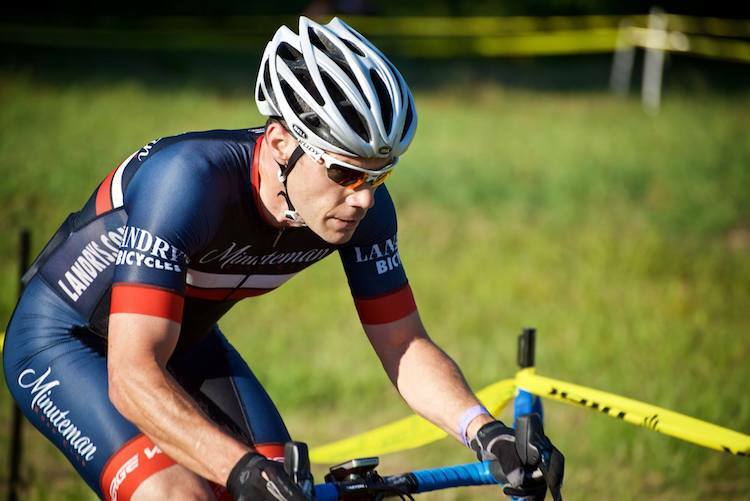 Landry’s Bicycles has stepped up to the plate and is providing GENEROUS gift cards to the podium toppers in the non-elite races. 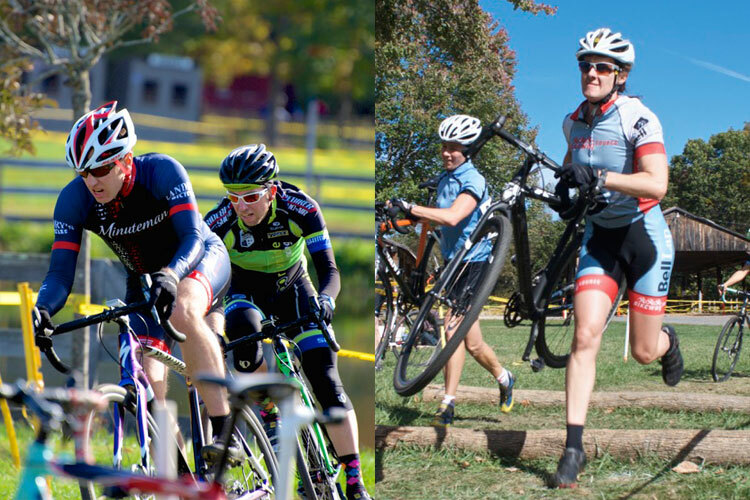 MRC CX is also part of the NEBRA CX BAR (Best All-Around Rider) Series, tracking points for 16 categories over 14 races. Waking up the morning of the race at 5:15 may not be the best way to win a bike race but apparently it did not make a difference Sunday. 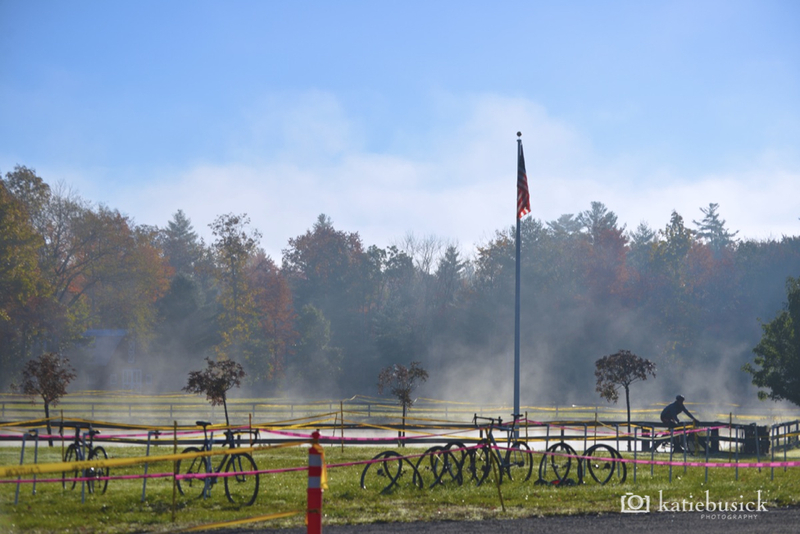 Getting there and seeking that it was 43 degrees was also not very fun to see but this is cyclocross isn’t it? After I got pinned up and signed in I went out for my first recon lap before my race. About halfway through my pre-ride I knew that this course would suit me having no run up and a very punchy “climb” and some nice fast turns. When I got to the startline I lined up next to the same people that I raced on Day 1, so my hope was that their starts would be just as good today. This came at the perfect time because next up on the course was the steep “hill” – really more of a steep bank but going up it first was a good idea because the guy in third seem to botch the only possible line that you could take slowing up the entire field. 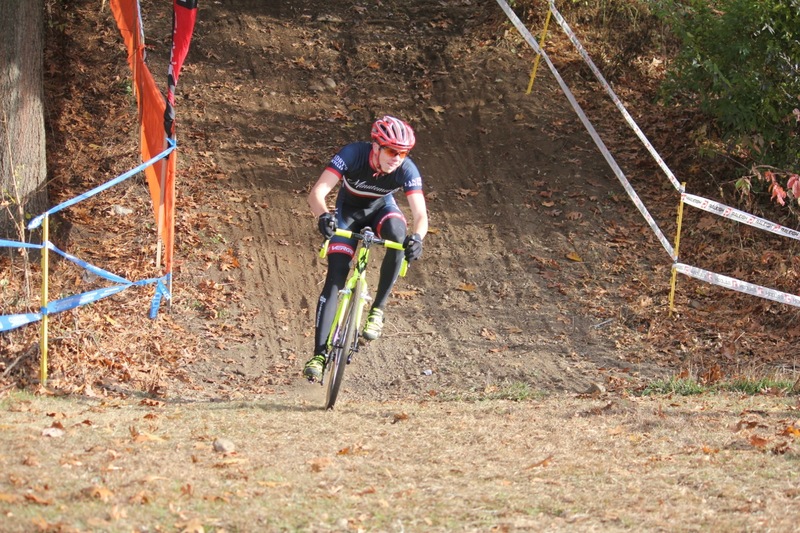 For the rest of the lap it was pure pain for 4 minutes trying to establish a sizable gap. 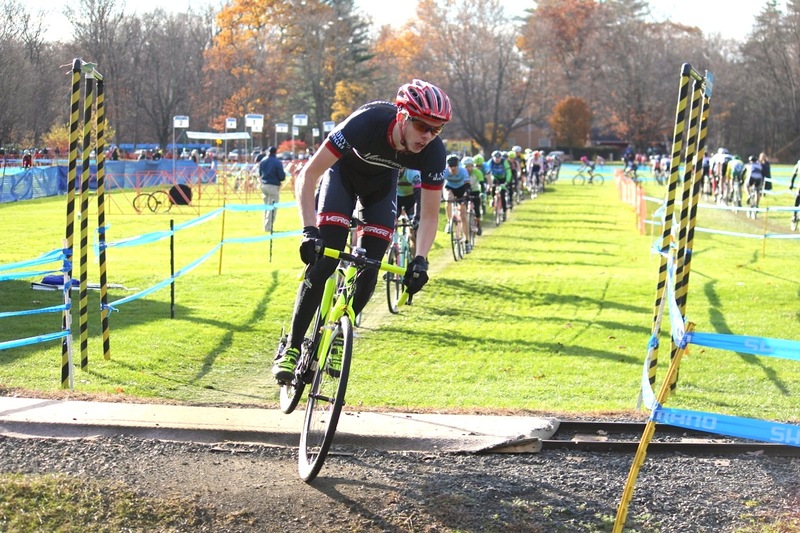 By the time I got to the finish straight I had staked out a 20 second gap and was still feeling strong so I just kept hitting as hard as I could for the next lap. When I hit the barriers on the second lap I still was feeling good but by the middle of the third lap I could feel my power starting to fade especially in the straights. One thing that did start to pick up were the amount of heckles that you will get coming down the tent row and when you go through the more populated areas, “Sandbagger!” and “Cat up!” really tend to get annoying when you have never even won a race or had more than 3 total upgrade points. Okay so enough of that, let’s get in to the last lap. By this time I am using all if the will that I can muster just to be able to hold the gap that I had built up. What really helped that last lap was my dad and Dave Warner (Green Line Velo/ZipCar) both yelling splits to me as I was going on my last lap to keep me going because the laughing dog rider and josh Araujo of Geekhouse were in hot pursuit. 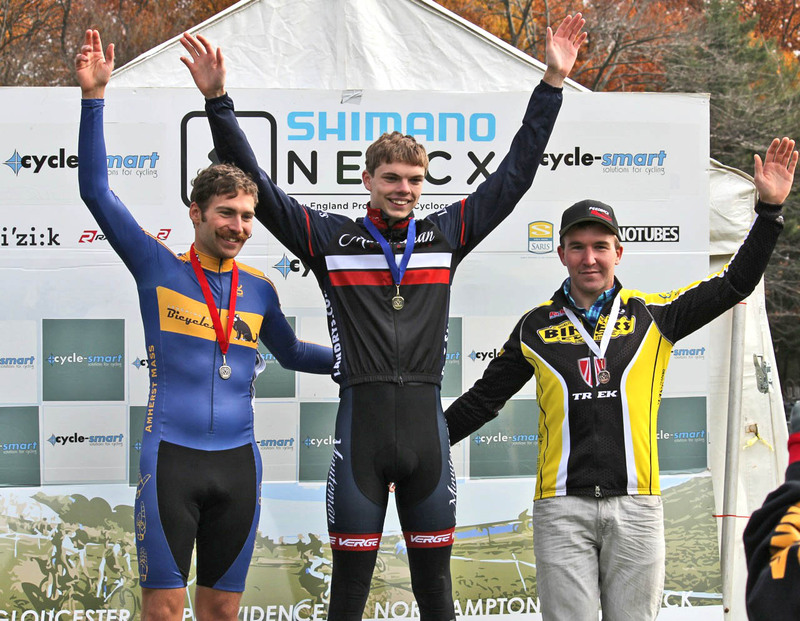 By the last few corners I was in disbelief that I had pulled off a win in a race this big! I was only predicted 18th! As I come into the finishing straight I nearly made a horrible mistake by almost taking both of my hands off of the bars as I crossed the line but then I remembered that that might not be the best idea. It really felt great to be able to finally get a win at a race of that caliber also a plus is that I can upgrade and that means that I don’t have to wake up at 5 am to go to a race! 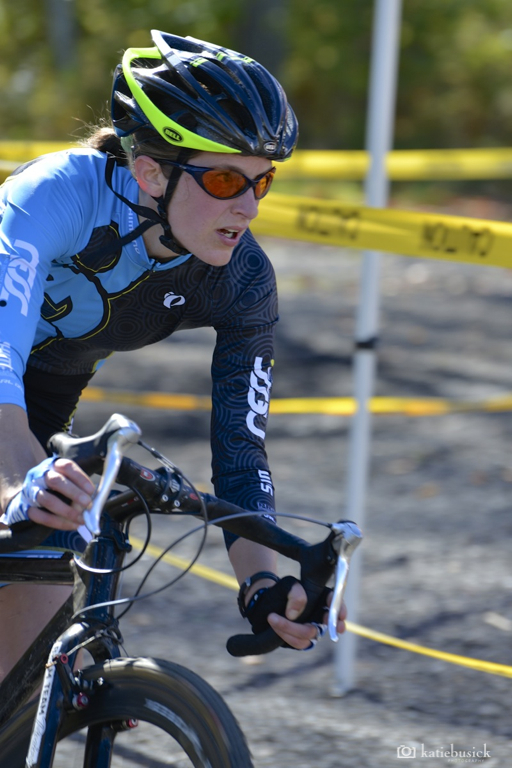 I really don’t think that I could have done it without all of the group rides and the cross practice series for keeping me motivated to finish my first cross season. On to Sterling! 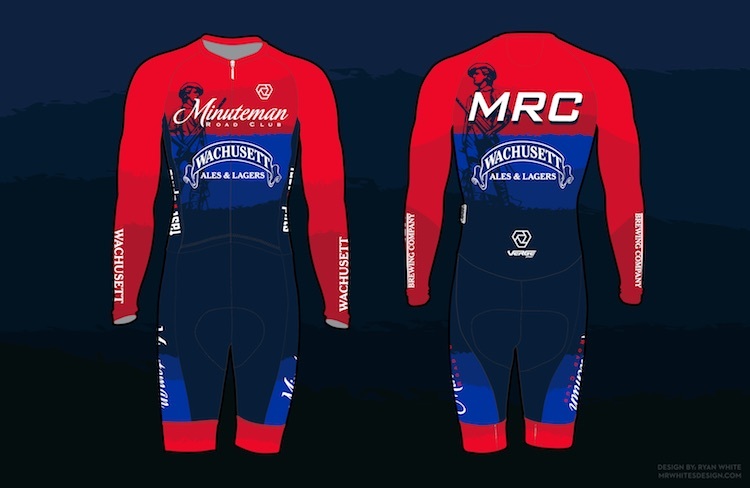 Minuteman Road Club Cyclocross is October 13th! 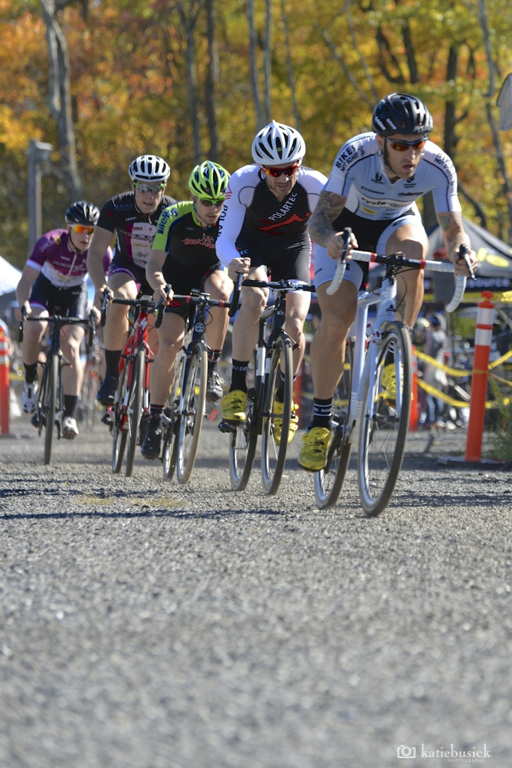 UPDATE: In error, we had no specific place for Cat 5 Jr’s to race. This has been corrected and they can now register for the 8:30 slot and race with the Junior Cat 4’s! 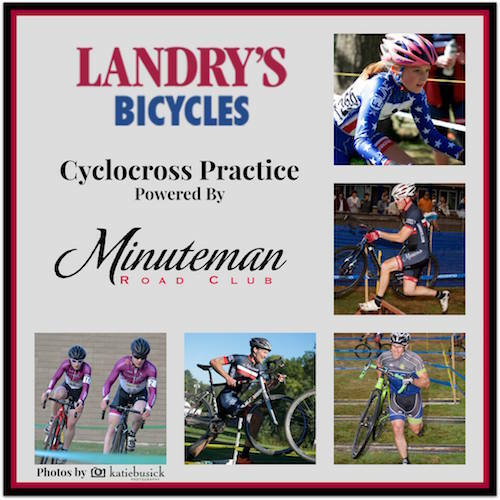 The Minuteman Road Club’s annual cyclocross race, now in it’s fourth year at the Bolton Fair in Lancaster, is right around the corner on Sunday, October 13! Big news: we’ve DOUBLED the payouts over last year’s race, 1st in the Elites now gets $200! EQUAL PAYOUTS Men vs. Women, as it should be! Winner of the Men Juniors 1/2/3 and winner of the Women’s Juniors 1/2/3/4 gets $100. 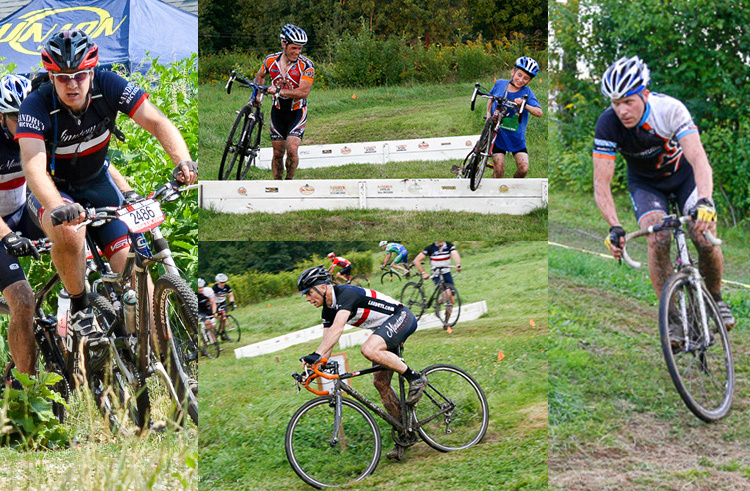 More about payouts and other details of the race in our race flyer. You’ll be competing on grass, pavement, an EXPANDED tractor pull area (with BIG ess turns!) and wood chips. Depending on the weather, it could be as dry and dusty as Gloucester was… but with just a hint of moisture it muds up very nicely! 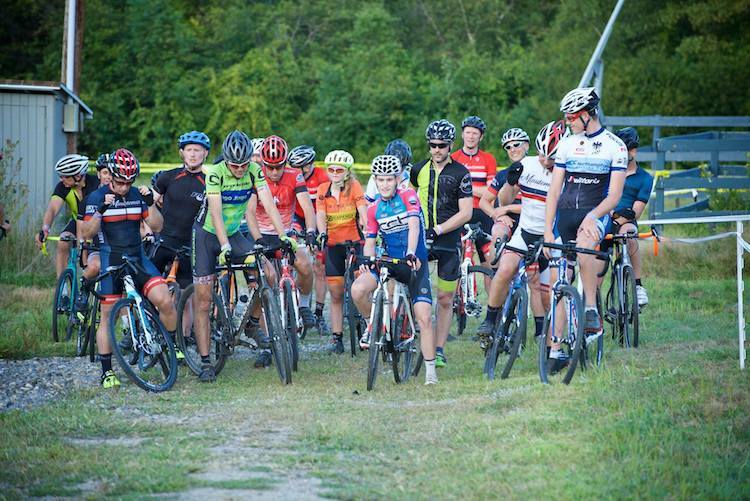 This is NOT simply the Midnight Ride run in the opposite direction: our race designer, Chris Pare, is putting together a course that will be unique and challenging.